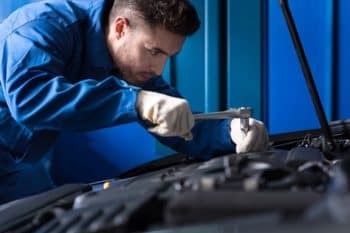 Keeping your vehicle in the best condition is imperative to ensuring that it will continue to serve you for miles and years to come on your drives around Avon, Indianapolis, and Plainfield. That’s why you need a reliable mechanic you can trust for all your maintenance and service needs. You’ll find a whole team of them at the service center at Andy Mohr Toyota, and they’re expertly trained to work on your vehicle. Scheduling your car for a maintenance check about every six months or 5,000 miles is one of the best ways to make sure that the car lasts for as long as possible. At these appointments, your car will get a thorough inspection of all its important systems and parts. If anything doesn’t look as it should, it can be repaired or replaced before it gets the chance to cause a problem. You’ll also receive an oil change, which is imperative to keeping your engine running clean and smooth. It also prevents internal damage. 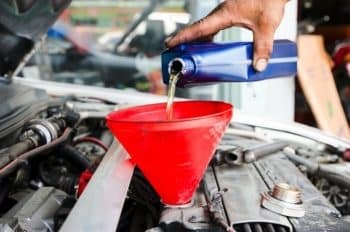 When you have fresh engine oil, your car is able to achieve its top fuel efficiency ratings, which will save you money on gas. Finally, you’ll get a quick rotation of your tires around the vehicle, so they wear evenly, which will improve their total lifespan. Unfortunately, you may find that your vehicle has a more complex problem that you need a professional to fix. Don’t worry, though, because our team of technicians is equipped to handle just about anything your car can serve up. They’re armed with the right tools and quality replacement parts to make any repair last for a lifetime. They’ll get you back on the roads right away, so you can get where you need to go—life doesn’t stop for car trouble! Whether you need a quick oil change or a complicated transmission repair, our team is here to help keep your car healthy. Pick up the phone or hop onto our online scheduling platform, and you’ll be able to reserve a date and time that works for you. We’ll have you back on the streets of Plainfield, Indianapolis, and Avon in no time!